We offer super thin lenses in a variety of top of the line lens brands not found at your average national chain store. Some of our lens brands include Zeiss, Seiko, Hoya, Shamir, Kodak, Varilux, and more. We carry a wide selection of sunglasses that we can also make with your prescription with custom tinting. Some of the brands we offer you are RayBan, Maui Jim, Oakley, Coach, Guess, Wiley X, Bolle, Bucci, Zeal and more. 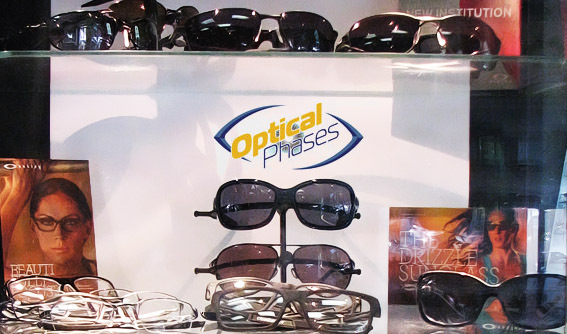 Optical Phases offers an array of services designed to meet the needs of our clientele. Our years of experience provide us with a wealth of information. From wholesale to retail, we have a true understanding of every aspect of the eyecare business, when we say value, we don’t mean getting cheap product at low prices. If you want to step it up a notch, we can get you a custom one of kind Silhouette or Swiss Flex from Europe. 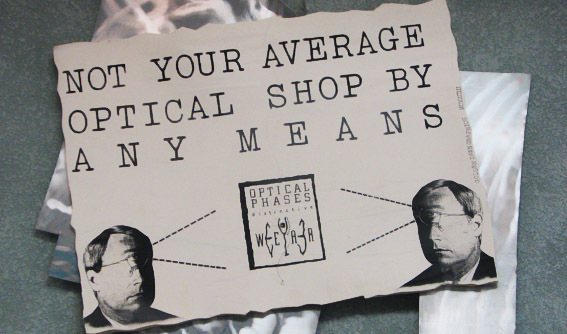 Whatever your eyewear needs are, we’ve got you covered!